Dr oz is big on home remedies and rarely does he recommend getting antibiotics for anything. When shopping at the drugstore, Dr Oz has a list of all-purpose items that you should keep on hand at home. For those that can’t handle the harsh chemicals or don’t want to deal with the dryness from an over the counter skin care medicine, Dr Oz has a solution. Witch Hazel is used as an astringent to soothe irritated skin. Use a cotton ball and dab it on. 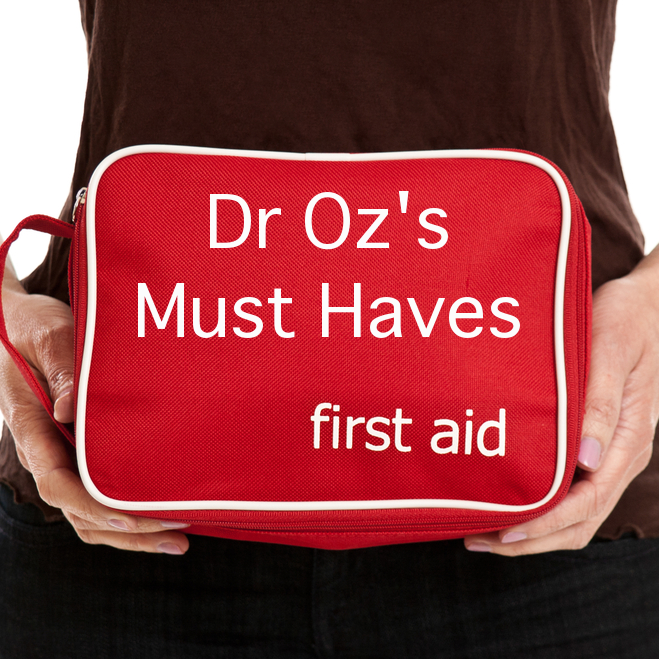 Dr Oz tipped up off on the first aid kit must haves and products you should keep handy at home, like witch hazel, epsom salt for pain, and ginger chews. Depending on your tummy troubles, Dr Oz likes to recommend Ginger Chews. They come individually wrapped and can treat gas, bloating, cramps, and nausea. They treat inflammation in the intestines and can keep you from overeating. You can find ginger chews next to lozenges. Preparing a warm bath at the end of a long day can help release tensions in your muscles and relieve pain in your body. Adding some epsom salt to a warm bath is a great pain reliever, said Dr Oz. And it will last forever. The magnesium in the salt relieves muscle inflammation and you can even apply it directly to the skin with a warm washcloth. When you shop around the drugstore or dollar store, you have two goals – save money and get the best products for you. 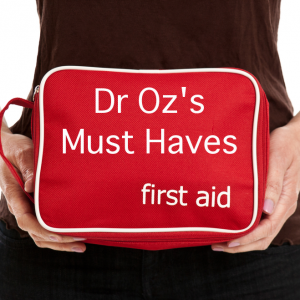 Dr Oz said that getting a small first aid kit for your car or office is a really good idea. Here are some of his other suggestions for first aid and dollar store must haves. There are over 9 million ER visits due to falls each year, said Dr Oz. Putting a non-slip mat wherever you might get wet, like the shower, bathroom, kitchen, etc, can actively prevent disaster. Dr Oz also said that getting socket covers for your outlets is a smart idea that can prevent tragedy with kids running around. Carrying a pill case around does not make you look like a junkie, it makes you a prepared person! Dr Oz said a cheap pill case can keep you organized, whether it’s with prescriptions or just the occasional advil.